Nebula is a villain in the Marvel universe. She is a space pirate who claims to be the daughter of Thanos. 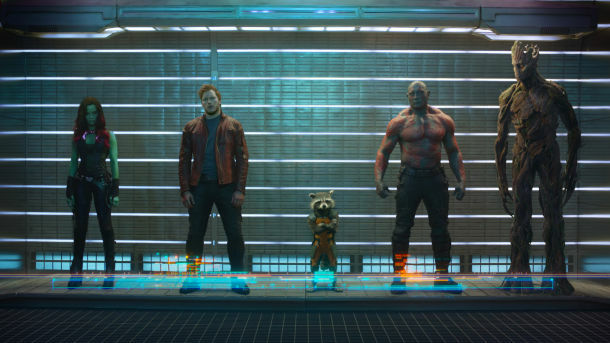 The character is a villain in the hit Marvel movie Guardians of the Galaxy. In Guardians of the Galaxy, Nebula is played by actress Karen Gillan. Karin Olava's amazing Nebula Cosplay is Stunning! Nebula is a space pirate / mercenary who claims she is the grand daughter of the mad Titan Thanos. She is as ruthless as Thanos. She has not been featured in a lot of stories. She first appears as a villain in 1985 in the Avengers. She features heavily in the Infinity Gauntlet story line and at one point in the comics she controls the infinity gauntlet. An army of heroes must battle to stop her from gaining complete omnipotent powers. In modern stories she found herself imprisoned and is given a cyborgnetic parts an eye and a arm by Dr Mandibus. She at one point tries to escape to pull together her crew but is beaten. Failing to free her crew she kills them instead. Highly skilled Martial artist and strategist. Uses a wrist blaster to fire concussive and heat blasts. Has devices that provide illusion camouflage. Nebula is played by actress Karen Gillan in the Guardians of the Galaxy movie. She is an adversary that has connections to both Gamora and Thanos. Karen made a bit of noise at Comic Con when she revealed her shaved head from playing Nebula. Nebula is one of Thanos's daughters who is loaned out to Ronan to help him retrieve the Infinity Power Stone. Nebula seeks out her rival fellow Thanos adoptee Gamora. Gamora has betrayed Thanos and stolen the stone to give it to another party. During the final battle over the planet Xandar, Nebula battles Gamora. Nebula is beaten but manages to find a ship and escape. In the film, Tony Stark has a vision caused by the Scarlet Witch where all of the Avengers are dead and Captain America's shield is broken. 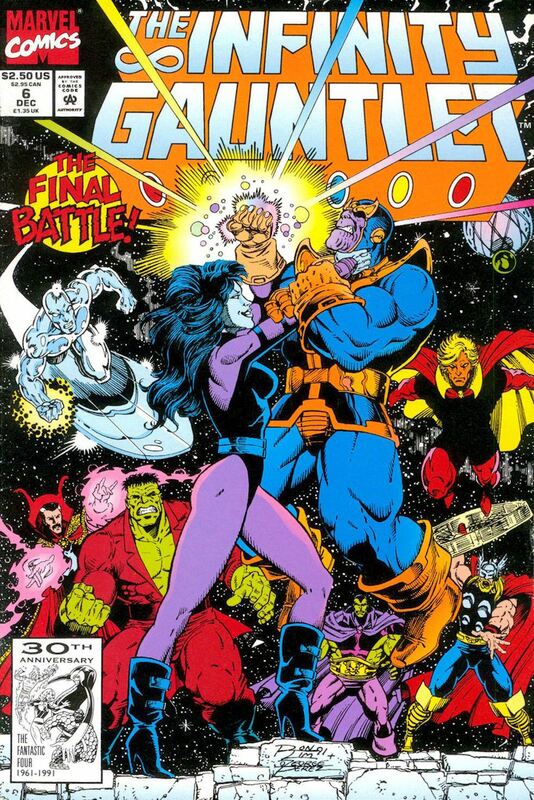 This could be a future event as it sounds similar to events that occure in the Infinity War comic event. In this vision there is a woman who looks similar to Nebula in the background. James Gunn has said Nebula is heavily featured in the Guardians sequel. He was asked if Karen Gillan was required to do her make up very much. His response was yes that Nebula was heavily featured and it required her to do the make up for nearly everyday of shooting. Gunn has previously said that vol 2 is about family so Nebula's use will likely be the focus of Gamora's arc. Karen Gillan was interviews by Digital Spy in 2017 where she said that her character Nebula was initially meant to die in the original Guardians of the Galaxy film. She was asked if she foresaw a character arc in Guardians 2 when she initially took the role. "No, I did not [foresee a character arc for Nebula]. I definitely had a feeling that there was room for the character to expand in the future, but she was originally supposed to die in the first movie, I think I remember in the script," ..."She obviously did not die, then I found out that she was coming back in the second movie and then I found out we got to explore all these amazing things about her past and her relationship with Gamora, her sister, so I was really happy." "I'm waiting for this [spin-off] because obviously this needs to happen. I don't know if it's ever going to happen, but I would love it. I think it would be amazing to see a female-driven film like that. We have Captain Marvel coming up, which is quite exciting. We could do with some more females at the forefront." In the Comics Nebula has a big role to play in unraveling the plot of Thanos. It remains to be seen what her role is in Avengers 4 however Karen Gillam has shared this photo of herself from the film. This is one of the first pictures shared from Avengers 4. Nebula's origin in the movie can be seen in an upcoming Guardians of the Galaxy prequel comicbook coming out on April 2nd. This prequel will bring together Abnett and Lanning who were the pair that brought the epic 2008 Guardians of the Galaxy comics that the movie will primarily pull from.